Sonam Kapoor said that she hopes her upcoming film Veere di Wedding will bring about a change in the way women characters are treated in Indian movies . The 32-year-old actor launched the trailer of the film today along with her co-stars Kareena Kapoor Khan, Swara Bhasker and Shikha Talsania. “I don’t think a film like this has been made before. It is entertaining and has everything from romance to drama. And why can’t a female headline a commercial film that is about girls which has a story? 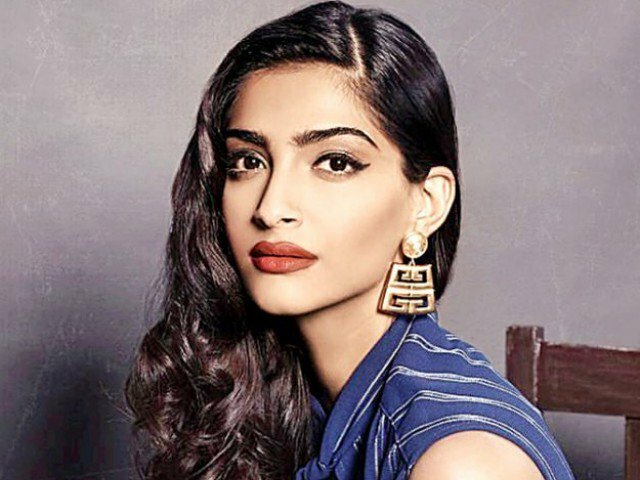 Things might change if this film works, I hope it brings about a change in the roles that are written for us,” Sonam said. The actor also hopes films based on women can help in changing the “misogynistic mindset”. “There is very long way before it happens. People like Kareena are setting an example. She got married and then she was on the sets and after having a baby she was on the sets. Shahid Kapoor got married did anyone ask whether he will work or not. Nobody will ask this question to a man. This misogynistic mindset is what needs to change and hopefully with films like this things will change. We are hoping this film does well. It is important for this film to do well so we as a women will get our space. We can break the glass in some way or the other,” she added. The first trailer of the film has the actors using cuss words. When asked about the censor certificate, Sonam said she is not the right person to comment on it. “This question is better asked to producers of the film. They are not here, there is a reason why they are not here. We don’t know. There is nothing objectionable in the film,” she added. In the past, women centric film Lipstick Under My Burkha has faced a tough time with the CBFC. The censor board, headed by Pahlaj Nihalani at that time, had refused to certify the film labelling it “lady oriented”. Veere di Wedding releases on June 1.